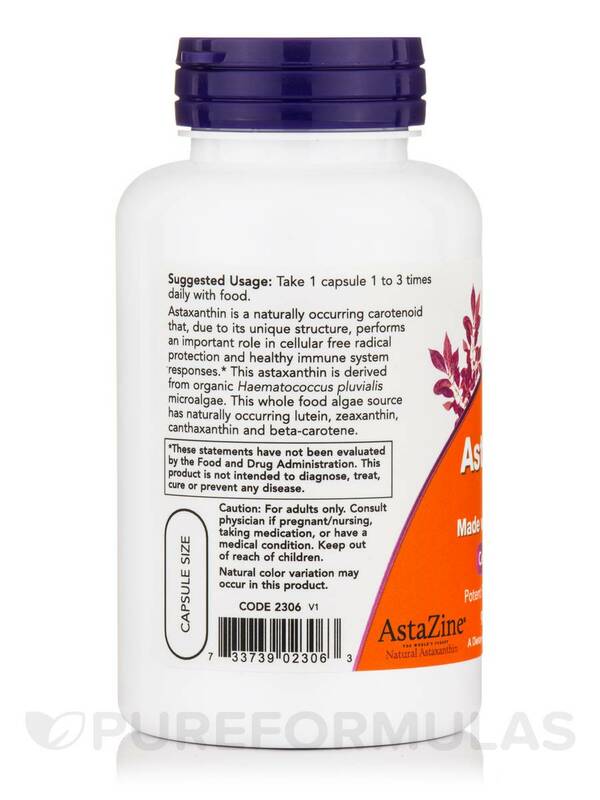 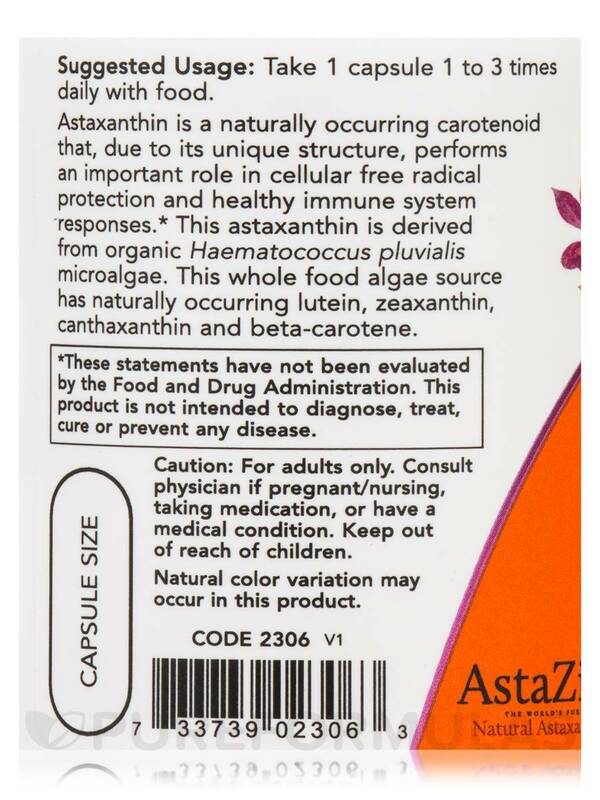 Astaxanthin is a naturally occurring carotenoid that‚ due to its unique structure‚ performs an important role in cellular free radical protection and healthy immune system responses. 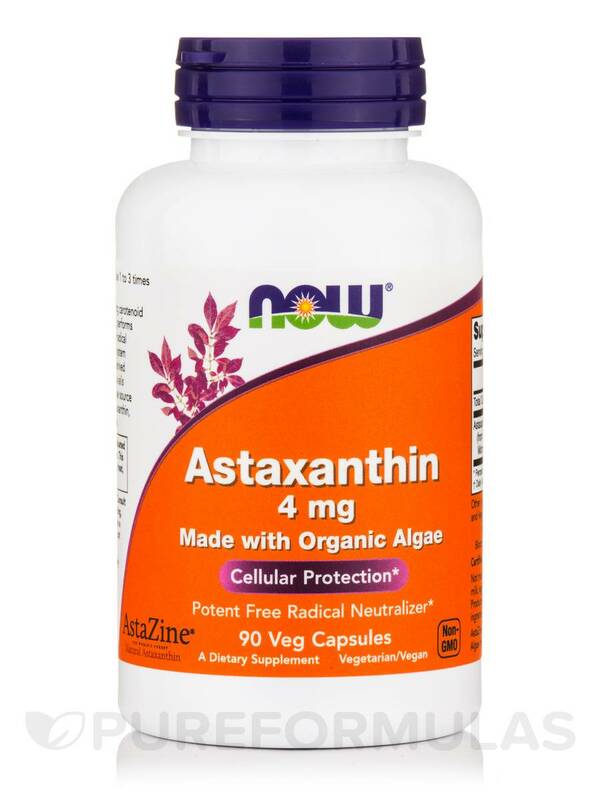 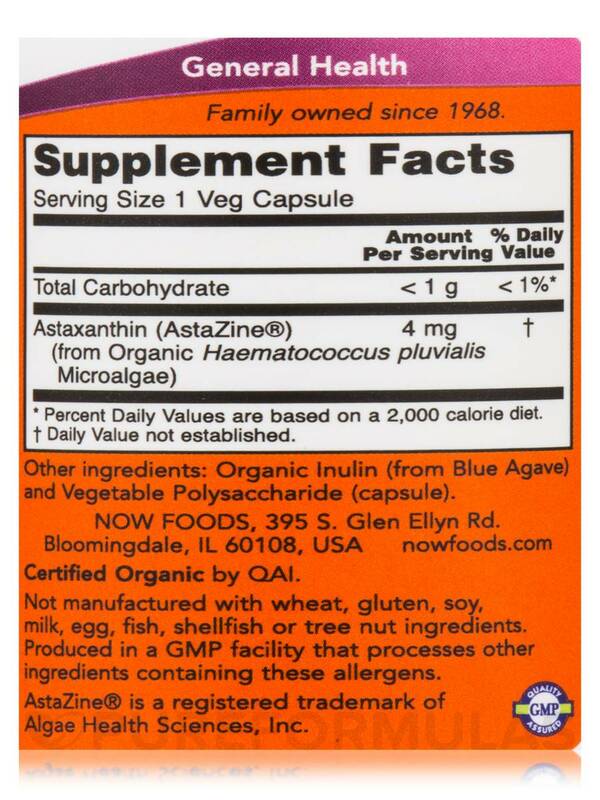 This astaxanthin is derived from organic Haematococcus pluvialis microalgae. 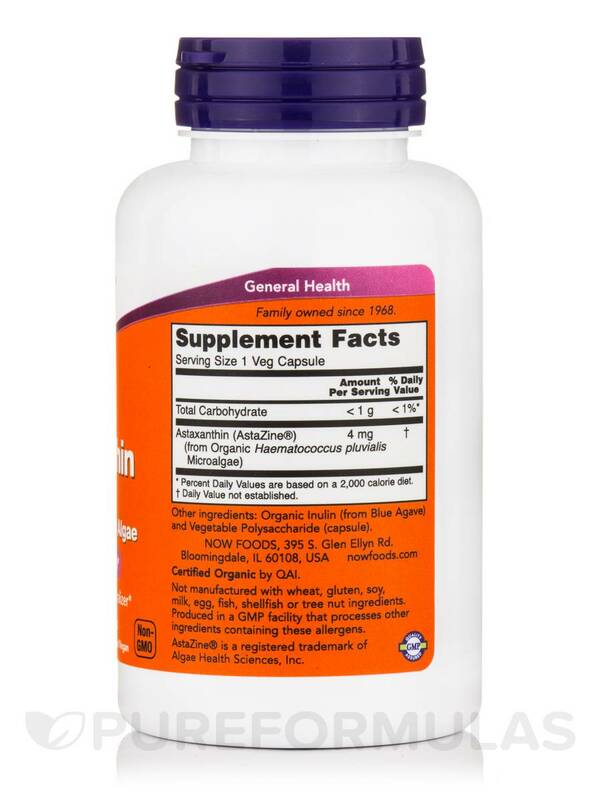 This whole food algae source has naturally occurring lutein‚ zeaxanthin‚ canthaxanthin and beta-carotene.